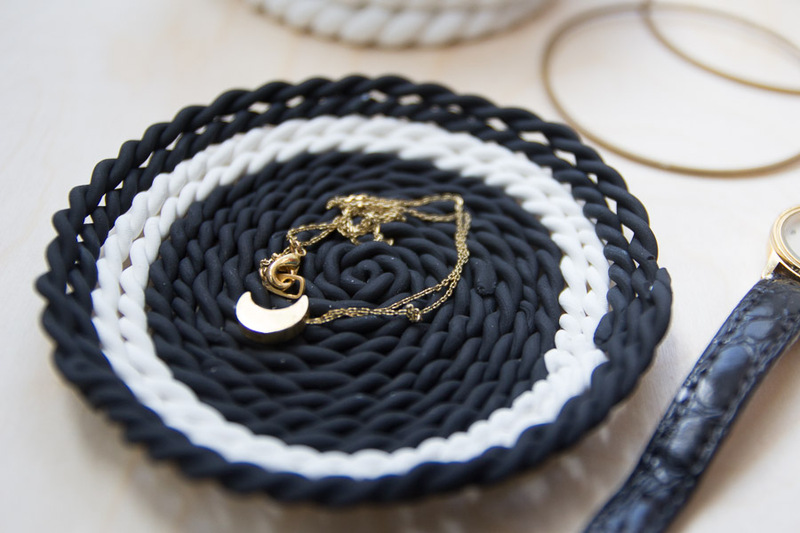 For the first project in our Beginner’s Guide to Crafting with Clay we showed you how to make a simple gold leaf ring dish. 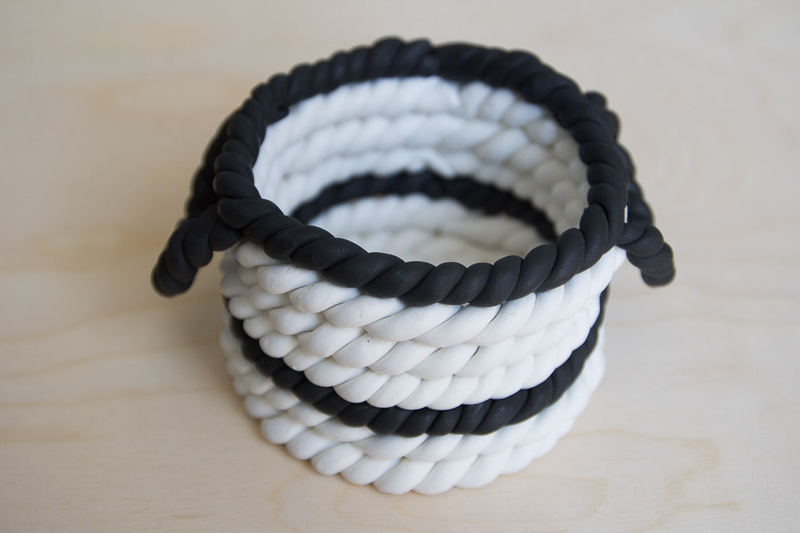 Today we are going to expand on that method by learning how to make a Polymer Clay Basket. I must warn you that these are pretty addicting. I stayed up way too late making a bunch for the house. They just look so cute! 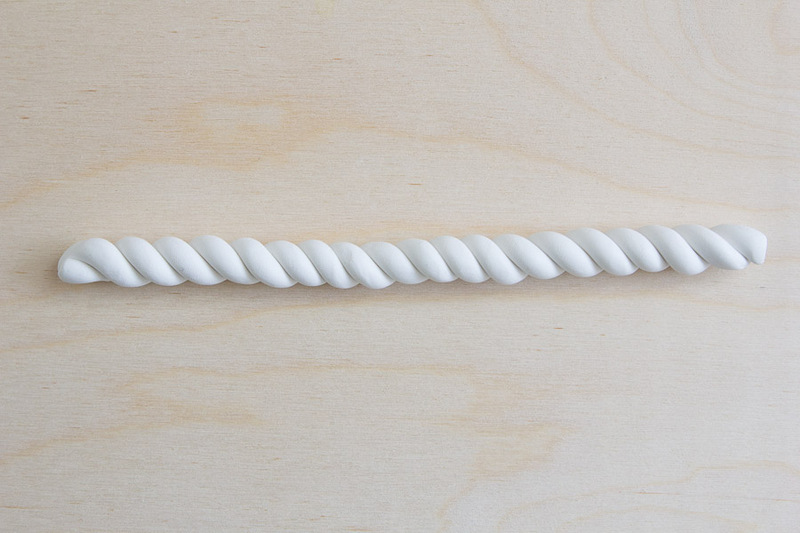 Use your clay extruder gun, or roll by hand, two long pieces of clay about 10 inches long. You want them to both be about the same size diameter. 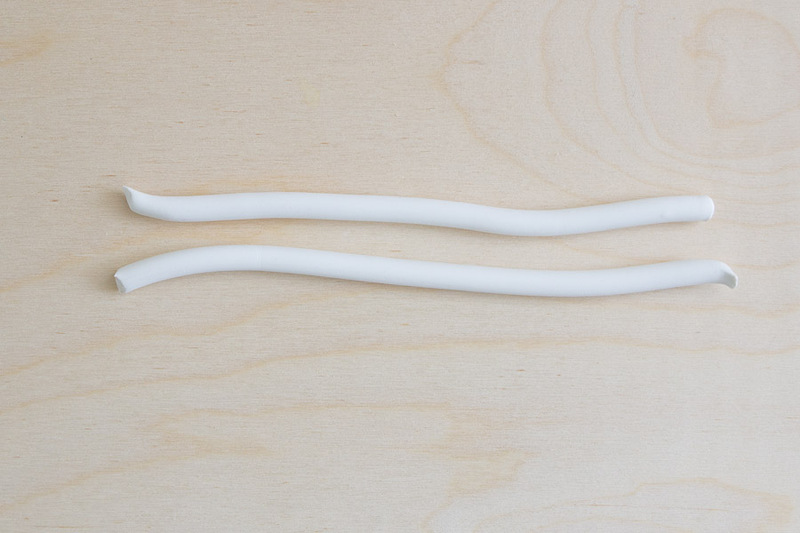 Pinch one end together and twist the two pieces around each other. Keep twisting until it is even the whole way down. 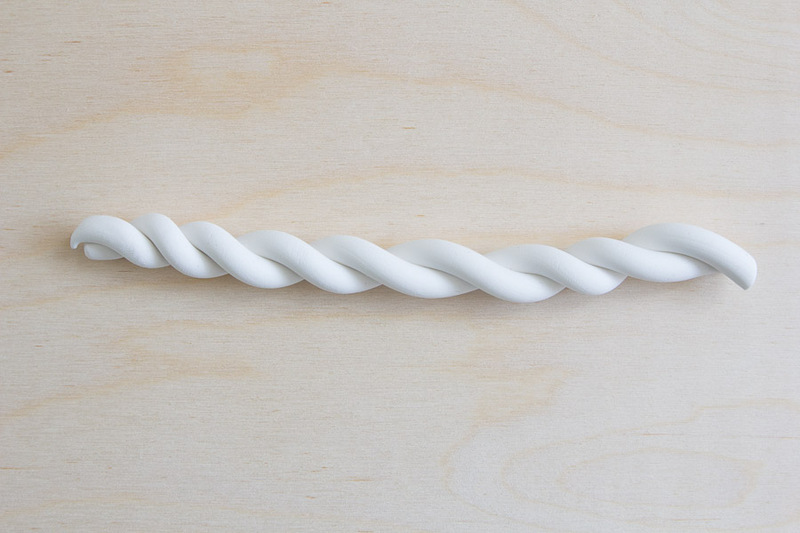 Coil your first piece of clay ‘rope’ and continue adding more. Once you’ve made your base, start to coil pieces on top of each other to make the edges. Once your basket is complete, put it into the oven to bake according to the directions on the package. I did not use a bowl or cup to have it hold its shape, because I liked that it slouched a bit just like a rope basket. You can have it keep its shape by building your basket around an oven-safe bowl or cup. 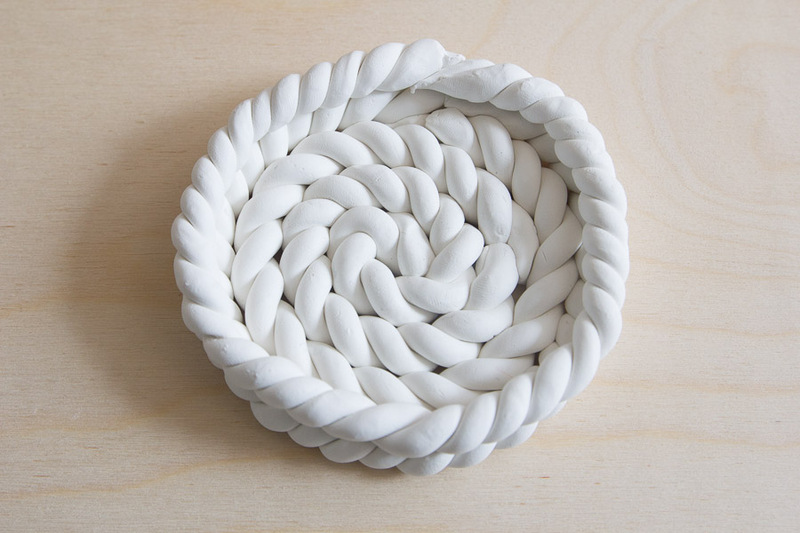 To make this basket below, I made thinner pieces of clay ‘rope’ and coiled them around each other at first. Then I used this bowl technique when I baked it to give it a dish shape. 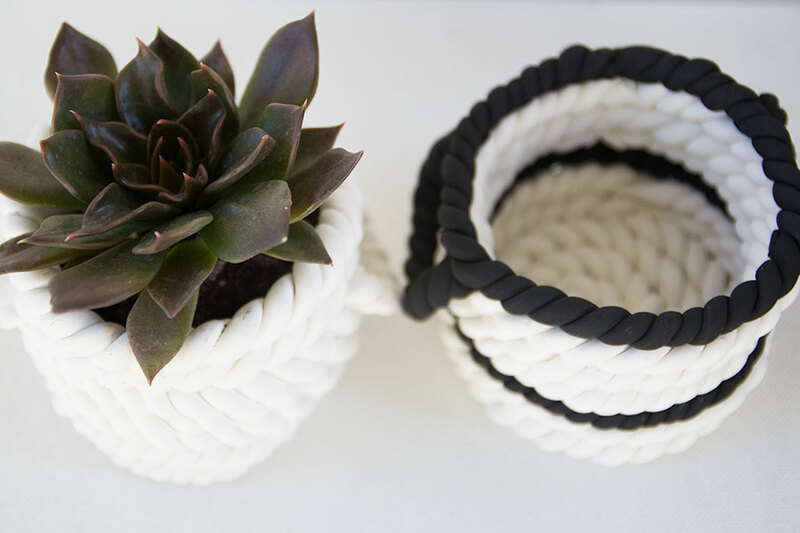 Clay Basket Planter: If you want to use your clay basket as a planter, make sure to seal all the holes with extra clay before you bake it, or press the clay ‘ropes’ together tightly so there are no gaps. 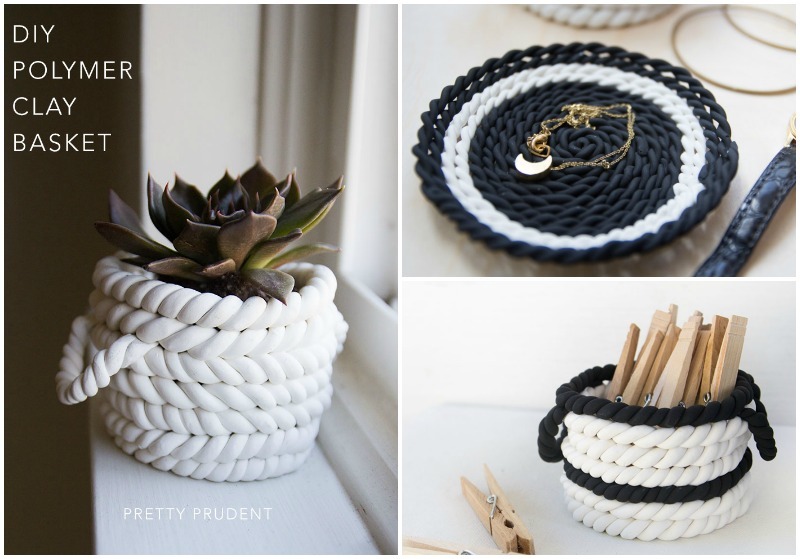 There are an infinite number of possibilities when making clay baskets, have some fun with it and share your photos with us on our Facebook, Pinterest, and Twitter page.